This is the second exhibition I’ve held in the last year. Another event to further characterise me as a lost and found artist, strewn across different disciplines and perfectly happy there. Spoken word will always have its visceral anchor immovably lodged within me. Photography and film have swayed in and out of my life in the last few years, and the written word has been taking me on unmapped journeys that can only be plotted on the page. It’s all one big story and it’s fascinating to explore the different ways of telling it. 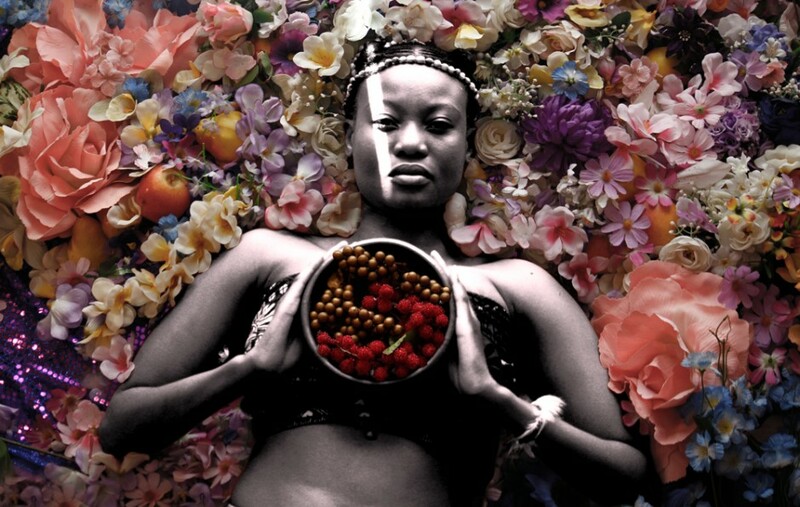 The exhibition, entitled More or Less, was part of the recently held Shoko Festival in Harare, Zimbabwe. This was the third iteration of the event, a week-long celebration of urban culture in the capital city with artists from around the world flying in for performances. Reclaiming a disused outdoor water park as the home for the festival was a surreal experience. Crowds danced and moved through a venue that we used to run around in as bony, half-naked children wearing speedos (the elastic of which seemed to rarely function). Along with two other photographers, Lesanne Dunlop and Bex Davies, I tried to capture the abundance that artists here are able to conjure when often armed with so few tools, to celebrate the vibrancy of the live music and art scene, and to celebrate artists who are dedicated to shedding their skin on the walls of our city. 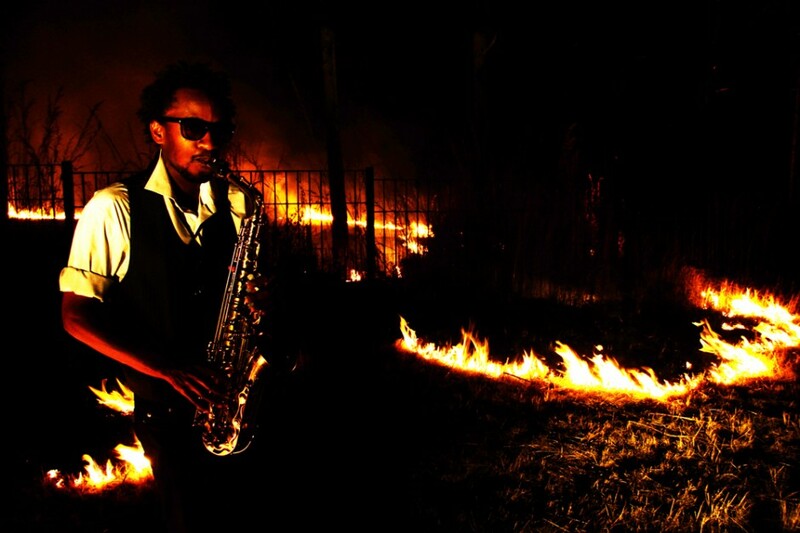 Vimbai Mukarati is in his early 20s and is a badass on the saxophone (as this photo clearly demonstrates). 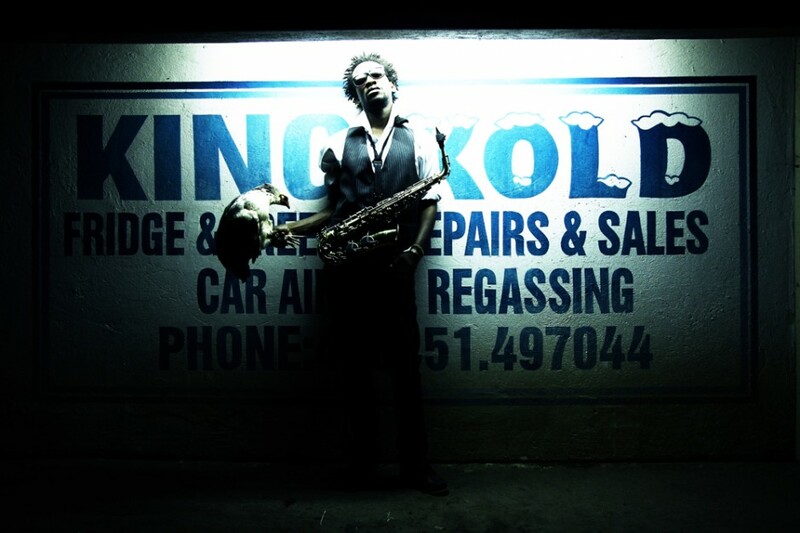 He's the lead vocalist and sax player for the jazz outfit Jacaranda Muse, signed to the French record label Heavenly Sweetness. V has also collaborated with the most renowned musicians in the country, including some of its top hip-hop and spoken-word artists. The Jibilika Dance Trust mobilises young B-boys and girls from around the country for huge events in schools, colleges, and festivals. The Trust brings together over 40 different dance crews, and they’ve represented Zimbabwe in the International Battle of the Year Championships in the past. 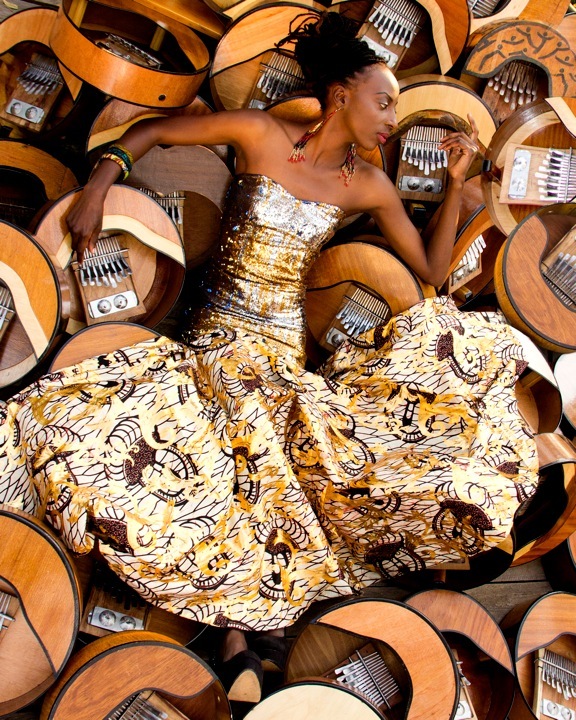 Hope Masike is known as the Princess of Mbira (the instruments that make up the makeshift bed she’s lying on). Aside from her hugely successful solo career, predominantly in Africa and Europe, she has united with the local live hip-hop act the Monkey Nuts. Formed last year, the group owns a unique live brand of electronic, traditional, and hip-hop music. 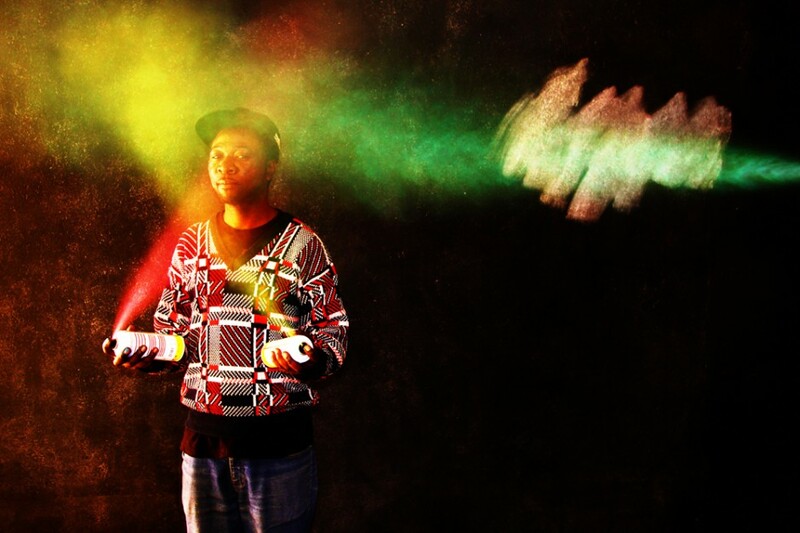 Aero5ol is a visual artist, poet, emcee, writer, and beat boxer from the country’s second-largest city, known as the City of Kings, Bulawayo. Another lost and found artist, Aero5ol is as equally effective with a stencil as he is with a can, mic, or pen in his hand. Model and aspiring TV presenter Samantha Ndlovu studied and worked outside of the country for almost a decade. After university in the UK, she went to work in Rome at the European Space Agency (naturally, I thought of the corridors in Men in Black when I heard this). She returned a few months ago and is working on a TV production set for release later this year. 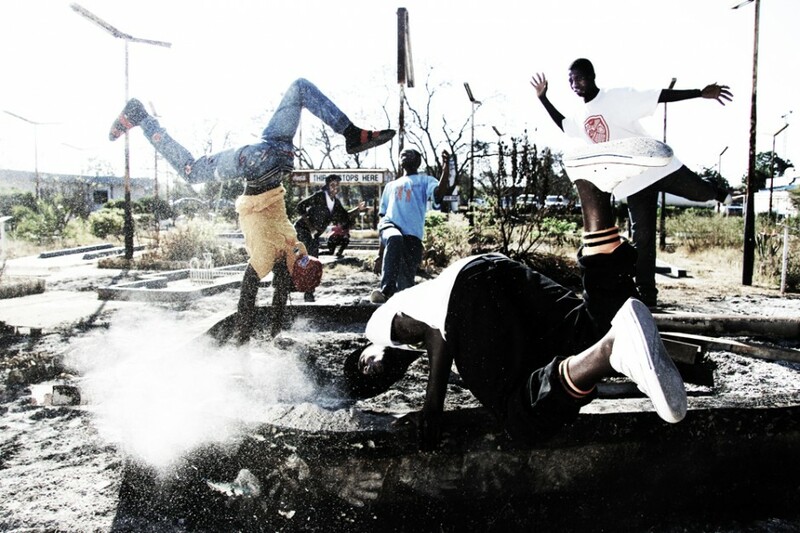 The Drum Cafe is a crew of beat merchants who are active around the country performing and conducting workshops. Something at the core of the urban cultural movement for many artists is the maintenance and incorporation of traditional elements. 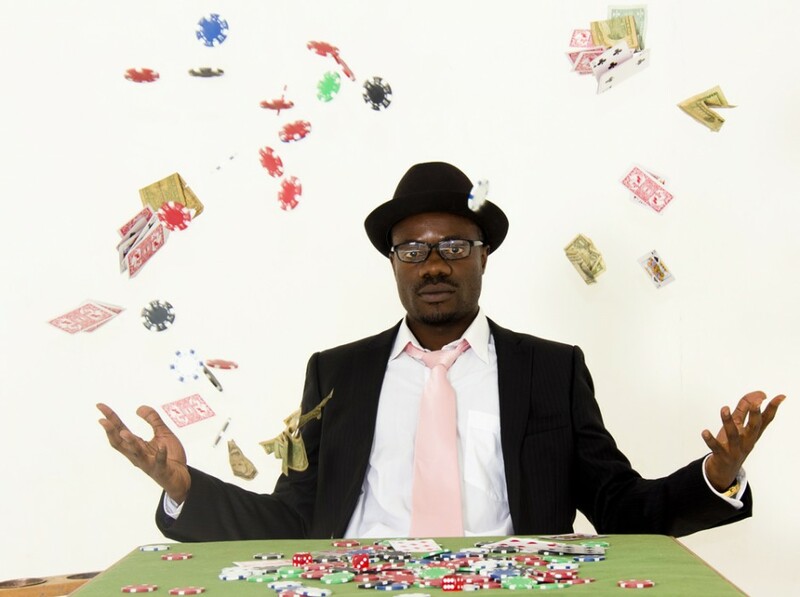 San Sebb is an emcee and regular face at hip-hop and spoken-word events, an artist with an old-school flow and a love for fast cars, hip-hop culture, and video games. He co-runs the local hip-hop blog, The Juice. This was taken spontaneously on our way to the King Kold shoot. It was burning season in Harare, when stretches of grassland are cleared to make way for new growth. This particular fire was blazing its way through the fields of the University of Zimbabwe, and precariously close to the dedicated subject.